Scanner's manufacturer specifies that the scanner provides high quality images regardless of fingers or palm physical conditions. The rolled fingerprint capture is backed by Suprema's Advanced Rolled Image Construction technology which is able to detect slips and construct rolled fingerprint images. The scanner has splash proof casing. 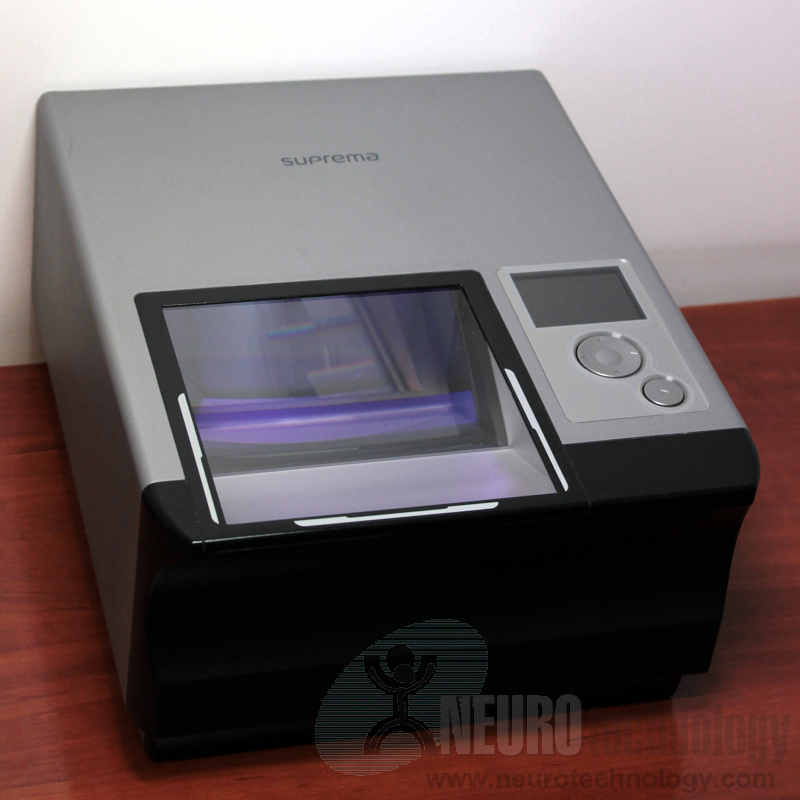 An LCD display is embedded into the scanner for providing feedback to users. MegaMatcher 11.1 SDK – includes components for palm print capture and multiple fingers capture and segmentation. MegaMatcher On Card 11.1 SDK – includes components for single flat fingerprints capture. VeriFinger 11.1 SDK – includes components for multiple fingers capture and segmentation.